Unnatural Issue is set in an alternate version of early twentieth century England where elements-based magic is real, and it tells the story of Susanne Whitestone, a young Earth Mage who grows up in isolation at a manor house in the Yorkshire moors. Susanne’s position in her own household is an awkward one – her mother died when she was born, which caused her father to refuse to have anything at all to do with her. Mad with grief, Richard Whitestone spent the following twenty years shut away from the world in his apartments, while Susanne was brought up by the servants and left to roam free, devoting her time to the care of the land that was once her father’s duty. Susanne’s life abruptly changes when her father decides to finally take notice of her. However, his sudden attention doesn’t quite feel right, and Susanne is soon given reasons to believe that her suspicious are far from unfounded. This story is set just before the outbreak of WW1, and Susanne’s journey eventually takes her to the French trenches as a nurse. Another interesting thing about Unnatural Issue (and, in fact, the reason why I picked it up) is that it’s a tribute to Dorothy L. Sayers’ novels – it features one Lord Peter Almsey, who, in the company of his valet Garrick, devotes his time to sleuthing. Peter Almsey crosses paths with Susanne when Lord Alderscroft (the head of an organisation that basically regulates the use of magic) sends him to Yorkshire to investigate signs of necromantic activity in the region. In this world, necromancers are very bad news indeed, so Peter’s job is to find out who is responsible for these troubling clues and put a stop to them right away. 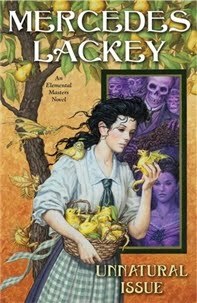 Unnatural Issue is part of Mercedes Lackey’s Elemental Master series: a series of stand-alone novels set in the same fantasy slash alternate history world, all of which loosely retell fairy tales (as you might have guessed by now, Susanne’s story is based on “Donkeyskin”). The Elemental Masters series has been on my radar for quite some time – retellings of fairy tales set in the late nineteenth and early twentieth centuries, and whose plots often revolve around major historical events, do sound right up my alley – but a previous experience with Lackey’s writing kept me away. I read one of her novels a few years ago, and, to put it bluntly, found the prose purpler than the background of this blog. However, the combination of a fairy tale, an interesting historical setting, and the words “tribute to Dorothy L. Sayers” proved too much for me to resist, and I decided to give her another try. I’m happy to report that I found the writing in Unnatural Issue much less cumbersome than I feared. There were still occasional sentences I could do without, like “For a moment, she tasted the sourness of resentment, then the bitterness of irony”, but overall the prose was invisible – it might not have been brilliant, but it got the story told. As for the tribute to Lord Peter Wimsey, it struck all the right notes for me. Lord Peter Almsey was different enough from his counterpart that I didn’t begin to irrationally resent Mercedes Lackey for not actually being Dorothy Sayers; but at the same time, there were enough echoes of Sayers’ novels to make me all warm and fuzzy – and also to make me love the character instantly. Something I found particularly interesting was the fact that Lackey chose to highlight her villain’s misogyny. Richard Whitestone’s characterisation is not exactly a shining example of complexity, and in fact often wanders into cartoonish bad guy territory. Nevertheless, it was interesting that she focused on the logical consequences of his dehumanisation of women – even the wife whom he loved so much that losing her drove him mad was someone he never saw as more than a possession. The novel opens with a prologue from Richard’s perspective, set just before Rebecca’s death, and readers get to see that the sane version of this mad villain wasn’t exactly a pleasant man either. He was already sexist, controlling and condescending towards women – what happens merely takes these traits to the extreme. Agatha and Mary were as alike as sisters, of the same sort as most of the farmwives hereabouts. Mathew could have been their brother, and the two maids could have been the children of any of them. The people in this part of the world tended to be brown, round-faced, and cheerful, like a collection of sparrows. Susanne could not have stood out more among them had she been one of the Good Folk. She looked like one of those raven-haired china-dolls that little girls got for Christmas if they were very, very good: hair as black as midnight shadows, vivid blue eyes, healthy pink-and-white complexion—and she towered over all of them but Mathew by at least three inches. However, the portrayal of class seemed to get a little better as the novel progressed. When Susanne runs away from her father’s house, she finds shelter in another manor house and disguises herself by working as a dairy maid. This is a house where everyone is comfortable and happy; where the servants and the aristocracy are like one big happy family. At first I read this as another example of Downtown Abbey-esque faux progressiveness: a rose-tainted portrayal of class relationships where everyone means well and people respect each other, but at the end of the day the power dynamics are the same and the status quo is reinscribed. Fortunately, something happens towards the end of the novel that challenges this model and highlights its limitations. There were other things about Unnatural Issue that didn’t quite work for me – the romance didn’t convince me, for example. The dynamics were wrong; Peter was close to condescending to Susanne sometimes. The inevitable comparisons to Peter Wimsey and Harriet Vane really didn’t favour Lackey in this case. Additionally, the ending felt a little rushed. But overall there was still more than enough to enjoy here and to leave me satisfied. Unnatural Issue may not be perfect, but it was a fine piece of storytelling and an extremely fun read; full of elements that I love and managing to tie them together mostly successfully. As my favourite thing about this novel was the worldbuilding, I went on to acquire more novels in the Elemental Masters series (which, in case you were wondering, doesn’t have to be read in order). The Gates of Sleep sets “Sleeping Beauty” in 1912 Devon – sounds fun, right? I adore fairy tale retellings. I seriously wish the local university would create a class that JUST encompasses originals and retellings. It's not as though they don't already have a mythology class; it's a likely pairing for the lit majors and the older "kids" like myself who would love to revisit a univeristy class. Kelly, if you have any recommendations of what to read besides this series I'm all ears! Now that I got over my fear of her writing I think I have plenty to enjoy. Christina: I would SO take that class! Donkeyskin is one of my favourite fairy tales, though one of the darkest ones out there too. After the original you should read Deerskin by Robin McKinley - heartbreaking but definitely worth reading. As for Beauty and the Beast, yep! The Fire Rose, the first one in the series, is based on that. Again. Yes, yet again. Again, I was left in sort of a state of awe. I wish so much I had your insight while I was reading. I'm envious, envious, envious. It's just so obvious that you get so. much. more. out of your reading experiences than I do. Not that I don't treasure my own reading experiences, of course...but I wish my brain could go beyond and see the bigger picture in the ways that yours does. I am up to Fortune's Fool and really need to get back around to it. I have read The Fire Rose from the Elemental Masters series and rather enjoyed it. I am a Mercedes Lackey fan - from the Elemental Masters Series - Unnatural Issue is the only one I haven't read - to the the Five Hundred Kingdoms (need to catch up and read the last three) and, of course, the Heralds of Valdemar, all 41 (if you include the short story collections). Yes, her prose can be a touch eggplant, but her stories get me every time and she is so deft at melding old stories that I know and love so well with a new twist that makes me love them even more. I would love to take a class or two or three on the multiple versions of fairytales. I did my undergraduate capstone on Cinderella, how the versions have changed through history and how the changes reflected societal flows. I loved every page of it. Thank you bringing me back to one of my favorite authors. I tried to read one of Lackey's books several years ago that might have been part of this series, as it was a retelling of "Beauty and the Beast." I don't normally abandon books unfinished, but that one I did. It felt like she was trying too hard to create a "new" version of the fairy tale, but all she really changed were the trappings, not the story itself. Maybe she eventually did put a new spin on the tale and I just didn't get to it. I'm glad this book worked out for you. It definitely sounds better than the one I read! Hope the next one is as good. I've yet to read a Mercedes Lackey book. Every time I get close I shy away. I don't know why that is. I do like the idea of a fairy tale re-telling and the world building in this series sounds promising. I should see what my library has. Kelly: I had a feeling you'd drop by with recommendations :P Thanks for all the suggestions! You've been telling me about the Five Hundred Kingdoms series for ages. Now that I've lost my fear of her writing I'll definitely try them. Lauren Clancy: That's such an interesting subject for a thesis! I feel bad for having written Lackey off after just one book. There's definitely a lot about her storytelling that appeals to me, even if I'll never really love her actual prose. Emily: I wonder if it was The Fire Rose? Then again I think she might have retold Beauty and the Beast in more than one book. These are really very loose retellings, so perhaps it was another one. Anyway, it sounds like she's hit or miss, so perhaps another try is worth it! Meghan: I remember standing at Forbidden Planet holding this book with you and you telling me exactly that. And I don't mean this in a "Stop repeating yourself, Meghan!" sort of way at all :P It's just that the memory made me smile. Amy: As someone who also shied away from her for years I can't blame you :P But I'm glad I decided to try her again. I had so much fun with this book. One of the daughters was a big Lackey fan (still reads her as a guilty pleasure), but, like you, I started one and was groaning loudly by chapter two. But this does sound aaaaalmost like I miiiiight like it. I think I will take my brand new Nook to B & N and see if I cn get sixty free minutes of reading it before I commit myself. I read a Lackey title last year (titled Firebird) and REALLY didn't like it. I kind of want to try another book by her, but the previous mentioned reading experience kind of scarred me. :P I'm glad you had a good reading experience the second time around though! It gives me hope, haha. I may have to pick this up just because I'm a fan of stand-alones set in the same world. I've always liked that idea. I'm fairly certain I've read just about everything she's written, and her writing varies greatly in quality. None of her books are great literature, but for the most part the Valdemar series is good; and I personally usually enjoy the Elemental Masters series, which Unnatural Issue is from. I'd start with Arrows of the Queen from the Valdemar series; it's the first in the series and is very accessible and enjoyable, in my opinion. I became a fan at around age 12, and I loved her worldbuilding and the innate goodness of most of her main characters. It's very easy to relax into a Valdemar book! I've been rather disappointed in her more recent work, but that may be more that I read them with a more mature eye than I did as a teenager! I encourage you to give her work a try, especially for a day when you need a story to pull you into a different world. Her worldbuilding really is excellent. Thanks so much for posting this - I've been wanting to read Mercedes Lackey for a while, but didn't know here to start (and like you, I'd tried to read one of her fantasy books a while ago and wasn't won over). I'm VERY interested in fairytale retellings and am actually working on a novel at the moment which retells the same fairytale "All-Kinds-of-Fur", sometimes known as Donkeyskin or Deerskin. Mine is completely different, of course, but I am trying to read all other versions of the tale as part of my research. 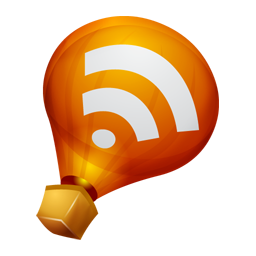 So thank you for this post on two fronts! It's always amusing to me now to read something in which necromancy is bad news. I like fairy tale retellings, and the fact that this is also sort of a homage to Sayers interests me as well. Though you mentioned that some of the sentence structure is clunky, I think this would be an very cool read for me. Thanks for sharing your opinions on it with us! I slightly guiltily read Mercedes Lackey's Valdemar books when I was in middle school (I am not the daughter who is a big fan! That is Legal Sister! ), and have given them up long since. But -- oh gosh, like Mumsy, I nearly am tempted to give this one a try. I remember quite liking one of the other books in this series, the one where the protagonist is being helped by the gods of India or something. I don't know. She has a monkey. Except for the fact that there needed to be a forth book I loved this series. This was a continuation of the Obsidian trilogy, but far in the future with different characters...although there are some of the original crew. It's good although I liked the first set a bit more.